In a country where a good air quality day in any industrial city makes a Los Angeles smog alert day look clear by comparison; where food safety outside of said cities is questionable at best; and where people are imprisoned for speaking their minds, there exists a populous bent out of shape about antibiotic-stuffed chickens? Indeed there is, and its complaint about fast-growth chicken served at KFC units threatens to stall the fast-food juggernaut’s expansion for Yum! 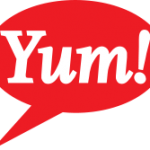 China and flatten earnings for Yum! Brands in 2013.